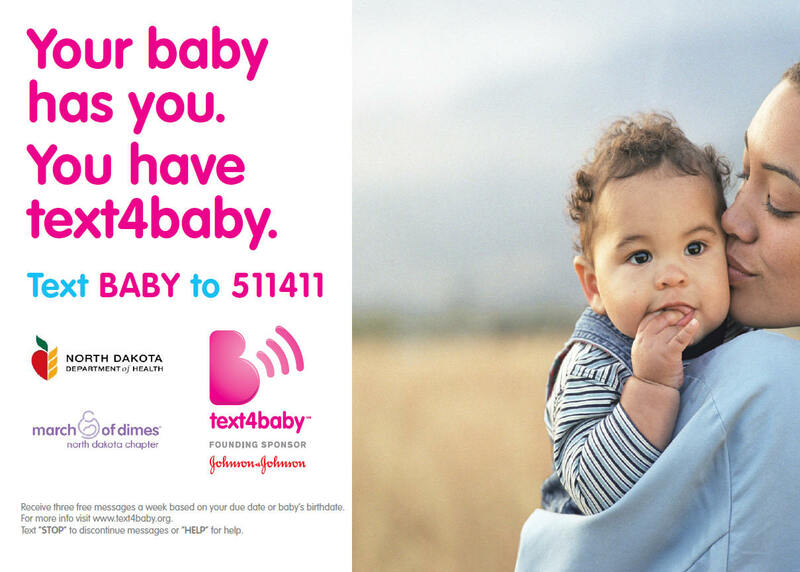 Text4baby Outreach Posters (Size 8½" x 11") are available in limited quantity to North Dakota residents. If you have questions, call 1.800.472.2286 press 0. To request copies, please complete the information below. If we are unable to fill your entire request, we will contact you. Please allow 1-2 weeks for delivery.